From the outside, the Telltale Games story would seem to be an inspiring one. The studio, originally founded in 2004 to create sequels to old LucasArts adventure games, was in dire straits in 2012 when it scored an unexpected critical and commercial success with the first season of The Walking Dead. Since then, the company has gone on to pump out popular series based on Game of Thrones, Guardians of the Galaxy, Minecraft, and more. A triumph for the little guy! Unfortunately, Telltale’s once-bright bloom has faded somewhat. Recent Telltale series have received mixed reviews, and the company laid off a quarter of its staff this past November. 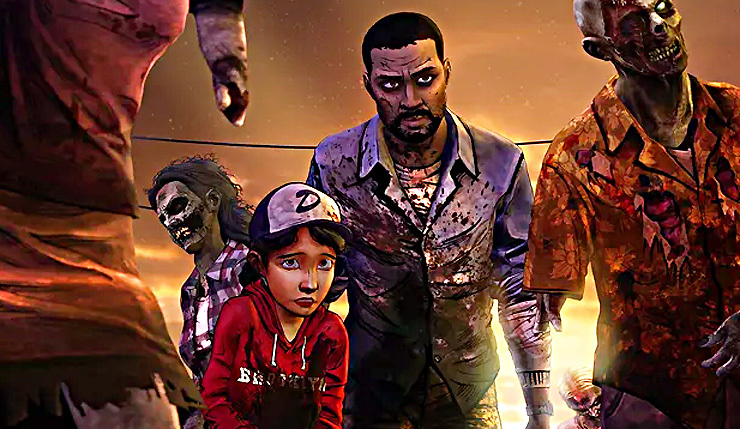 The studio has also lost top talent who were instrumental in creating The Walking Dead Season One, The Wolf Among Us, Sam & Max, and more, such as Jake Rodkin, Sean Vanaman, Adam Hines, Chuck Jordan, Dave Grossman, Mike Stemle, Dennis Lenart, Pierre Shorette, Nick Herman, and Adam Sarasohn. What’s going on here? It turns out actually working for Telltale Games isn’t all that inspiring. The Verge spoke to more than a dozen current and former Telltale employees, and the picture they paint is of a studio plagued by toxic management, chronic crunch culture, and a lack of ambition. At the height of Telltale’s output, the crunch essentially never ended, with employees working 14 to 18-hour days, six days a week, for months on end. You finished working on one episode, and were immediately reassigned to the next. A lack of efficiency made the situation worse, as the company quickly expanded from 100 to 300 employees after the success of The Walking Dead and communication between teams was lacking. Employees didn’t even see much financial benefit for their hard work — Telltale salaries were below industry standards and devs had to live in the infamously expensive San Francisco Bay area. Telltale employees also paint an unflattering picture of company’s former CEO Kevin Bruner. A co-founder of the studio, Bruner came from a programming background, but reportedly fancied himself an auteur, getting involved in every aspect of Telltale’s games. According to those who worked with him, Bruner was abrasive, inflexible, and reluctant to give anybody credit following the success of The Walking Dead. Bruner resigned as Telltale CEO in 2017, and, despite the recent layoffs, some current employees believe a better, healthier future may be ahead for the studio. We’ll see if that pans out. I definitely recommend you read The Verge’s entire piece, as it contains way more detail than we can possibly cover here. Telltale is currently wrapping up their latest episodic series, Batman: The Enemy Within. The Walking Dead: The Final Season and The Wolf Among Us: Season Two are slated to kick off later this year.